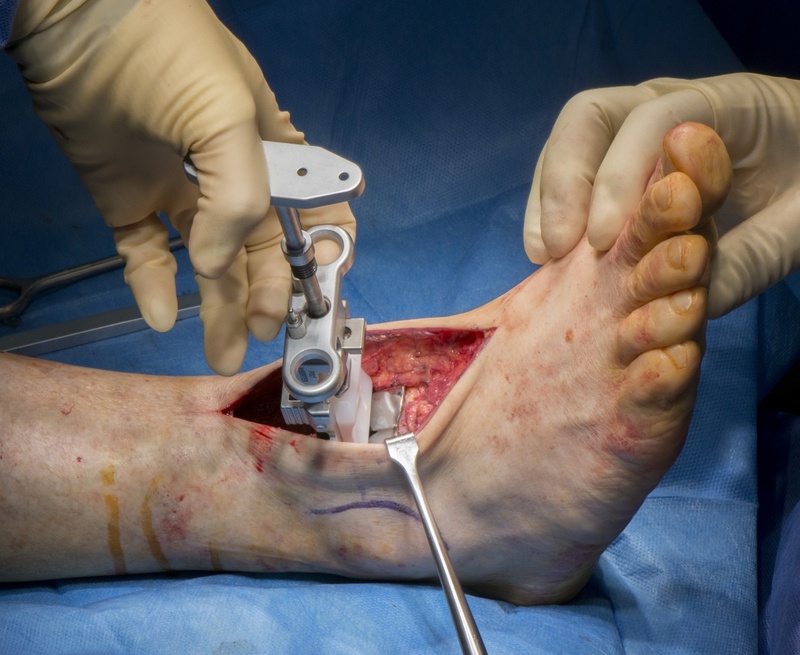 Learn the Ankle replacement-Wright Infinity ankle replacement surgical technique with step by step instructions on OrthOracle. Our e-learning platform contains high resolution images and a certified CME of the Ankle replacement-Wright Infinity ankle replacement surgical procedure. Subsequent generations of implants used more modern ideology to create metal components for the tibia and talus with intervening ultra high molecular weight polyethylene acting either as a spacer when fixed or as a meniscus engaging in mobile bearing functions. These proved to be much more successful both in terms of function and of survivorship. The Wright Infinity ankle replacement is one of the latest evolutions of ankle replacement.